Native to North America, arborvitae is a pyramidal evergreen shrub. This hardy evergreen shrub grows readily in most environments and is an inexpensive garden shrub. As with all shrubs, transplanting can fail if arborvitae is moved at the wrong time of year or given inadequate follow-up care. Learn the right way to transplant this landscape shrub to keep your specimens healthy. Gardeners should transplant arborvitae if the shrub was originally planted in a poor environment. Over time, arborvitae can grow up to 50 feet tall, so plants may need to be moved if they don't have adequate space. These shrubs do best in full sun and in well-draining soil, so gardeners who planted in shade or sandy soil may wish to move them. Gardeners should either transplant arborvitae in the early spring when the ground thaws or in the early fall. Moving these shrubs from the late spring to early summer causes transplant injury, since growth is at its highest. Moving them too late into the fall means that the plant is not adapted to its new location in time for winter. Late-transplanted arborvitae often develop brown needles. Water the arborvitae until the ground becomes saturated every day for three days prior to transplanting. 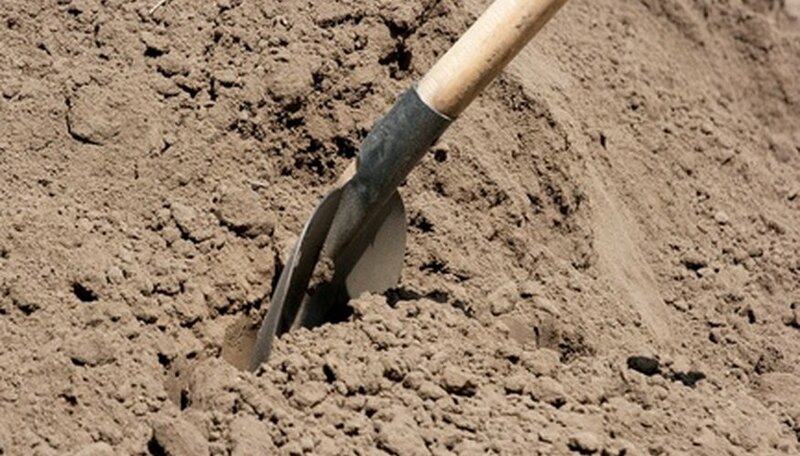 This makes it easier to dig the shrub from its hole; the roots will be loose in the soil. North Dakota State University recommends tying low branches with twine to prevent damage during the move. To avoid transplant injury, prepare the new site before you big up the arborvitae. Dig a hole twice as deep and wide as the shrub's root ball and remove rocks and roots from the hole to ready the new site. Begin digging at twice the estimated distance of your shrub's root ball. Dig down and in, then let the roots guide you, once you see them. Gather all of the arborvitae roots in a soil ball underneath the shrub. Then pull up on the trunk to remove the shrub from the ground. Carry the shrub to the new hole and place it in the ground at the same level as it was planted before. Fill in the hole with soil to finish planting. Water the arborvitae after transplanting until the soil becomes saturated. Then allow the ground to dry out to a depth of 3 to 4 inches. Test the soil's moisture content by sticking your finger down into the earth. If the soil is clammy or wet at that depth, hold off watering. If the soil is dry, water again until the ground becomes saturated. Too much or too little water can hurt the transplanted arborvitae.